Pelicans, those huge stocky seabirds with oversized bills and stretchy throats, populate our ocean fronts today but were on the brink of extinction not so long ago. Now you don't have to live by an ocean to have one of these comically elegant birds hanging around. 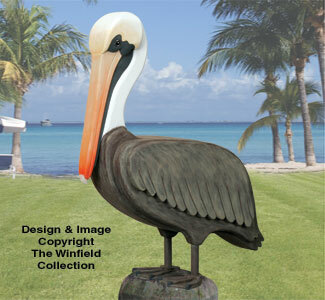 You can make our 3D life-size Pelican no matter where you live. 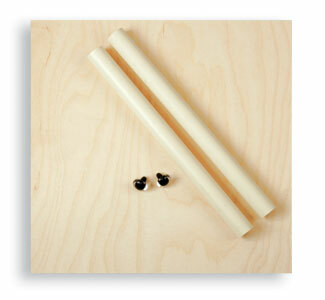 Convenient kit to complete our 3D Life-size Pelican project. Includes two 18mm Plastic Clear Eyes (#PE144), two lengths of CPVC pipe for the legs and a sheet of 1/4" thick Finnish plywood (#FPLY412) to make the webbed feet.